Getting sports funding is hard so, where do you start? 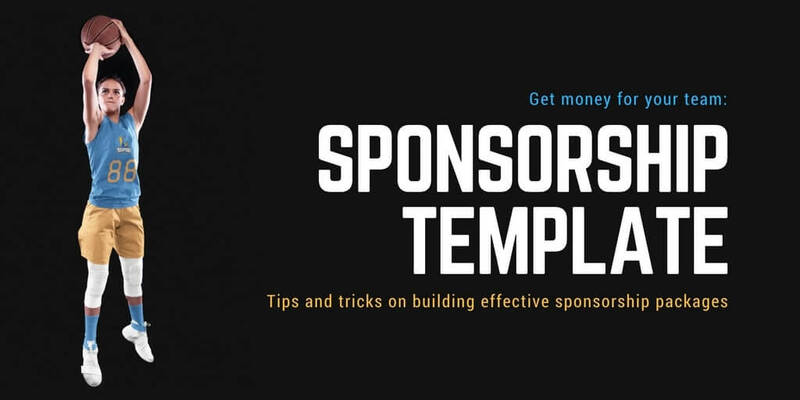 We made this handy template with tips and tricks on how to approach your team sponsor and how to create sponsorship packages that will convince even the most reluctant sponsor. Having a clear objective when choosing which businesses are a good match to support your team. Researching the sponsors to get to know the best way to approach them. Some ideas of what your team can offer in exchange. Just follow these simple steps to start building your own packages by downloading the presentation down below. Review the example we laid out for you. Click on “Customize the Template” to make your own editable copy of the Google Slides file. Add your team logo, colors, and images to make it match your team. Choose what your packages will include and how much they will cost. Or visit Placeit for our full sports resources, from logo makers to jersey mockups. Take your team to a whole new level with a fierce volleyball logo design! You can easily create your own logo with Placeit's sports logo maker. Time to sell more t-shirts! Make your brand look like the pros with a logo design to show off on your online t-shirt shops, your social media, even on your labels! Use this tool to make amazing designs with just a few clicks! Make A DJ Logo In Minutes! As an artist, your brand image is very important. Create a memorable DJ Logo to boost your identity following a few simple steps! Ready to sell more t-shirts this summer? Make the most of the season by offering your designs on a variety of summer apparel like crop tops, tanks and more. Put your baseball knowledge to the test playing fantasy baseball, make a team and try out your skills. Newbie to the game? We'll answer some basic questions about the fantasy sport that has captured peoples imaginations since it was created. Want to sport a super bowl jersey for the big game? Design your own with Placeit's Design Templates and be the envy of everyone at your Super Bowl party.